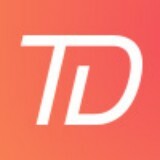 TokenDesk is a direct marketplace for crypto and FIAT currency crowdfunding. Why it is beneficial for ICO to accept FIAT? What is PayPlus+, how customer can benefit from it and what’s the future plan for PayPlus+? While everyone is distracted by price movements, numerous institutional products are being built.